Historians cannot agree on her birthdate. 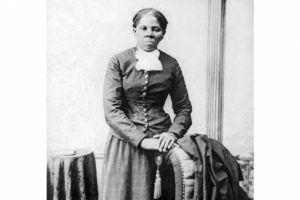 Harriet Tubman’s birthdate seems to be a mystery, even (as records show) to her. Birth records of slaves were not often kept. The earliest date noted for Harriet’s birth, which appears on her death certificate, is 1815. A midwifery statement, and later a “slave runaway” advertisement states it as 1820. Her gravestone lists 1820. In her Civil War widow’s pension records, Tubman herself claims the date of her birth to be 1820, 1822, and 1825. Born Araminta Harriet Ross, her parents, Harriet “Rit” Green and Ben Ross called her Minty. She later changed her name to Harriet. 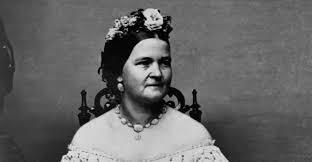 Some records indicate she took the name Harriet when she married, and others state it happened when she escaped slavery. She learned about resistance from her mother. Harriet’s family, like many other slave families, suffered lifelong separation. Three of her sisters were sold to other families. When a slave trader from Georgia approached her family’s owner, Mr. Edward Brodess, about buying Minty’s younger brother, Rit, Minty’s mother, would not relent. With the help of other slaves and former slaves, she hid the boy away for a month. The trader came back, and when Brodess brought him to the slave quarters to take the child, Rit threatened to “split his head open.” Brodess relented and agreed not to sell the child. She had visions which she claimed were revelations from God. Harriet had a deep devotion to God. Never having learned to read or write, Harriet grew up hearing Bible stories from her mother. She liked the stories of deliverance in the Old Testament. Early in her life, Minty’s owner often hired her out to other families. On one such occasion, when she ran an errand to the dry-goods store for supplies, she witnessed a skirmish between the store owner and a slave who had left the fields without permission. While trying to restrain the slave, the owner demanded that Minty help. She refused. As the other slave ran away, the owner threw a two-pound weight at him, but missed, hitting Minty in the head, splitting her skull. The injury resulted in seizures, visions, and vivid dreams which she felt were messages from God. She escaped from slavery twice. 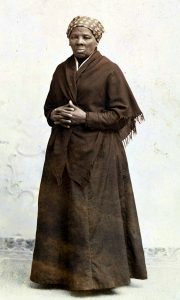 Harriet married for the first time around the year 1844 to John Tubman, a free African American man. There is no record of them having children together. Harriet’s head injury caused health problems for her for the rest of her life. She was often sick, and this made her not as valuable as a slave. When her owner died, his wife set out to sell many of her slaves, and because she had health problems, Harriet knew she would be one of the first to go. She figured escape made better sense, but her husband tried to talk her out of it, stating he refused to accompany her. 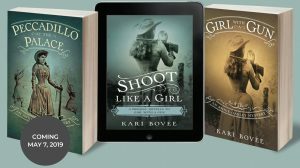 In the Fall of 1849, Harriett and her brothers, all hired out to the same farm, devised a plan for escape. Two weeks after their escape, Harriet’s owner, Eliza Brodess, posted a runaway notice in the Cambridge Democrat, offering a reward for each slave. Fearful of the repercussions if they continued, her brothers turned back. Harriet had no choice but to return with them. Determined to have her freedom, she escaped again—this time alone. 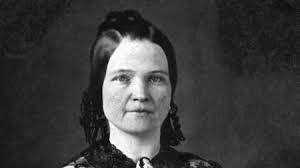 She utilized the Underground Network, a freedom network ran by enslaved and free African Americans, and white abolitionists—most prominently, the Religious Society of Friends, also known as Quakers. She made the 90-mile journey by night, traveling for several weeks, and finally made it to Pennsylvania and into freedom. This set her on a path that would change her life and the lives of so many others.